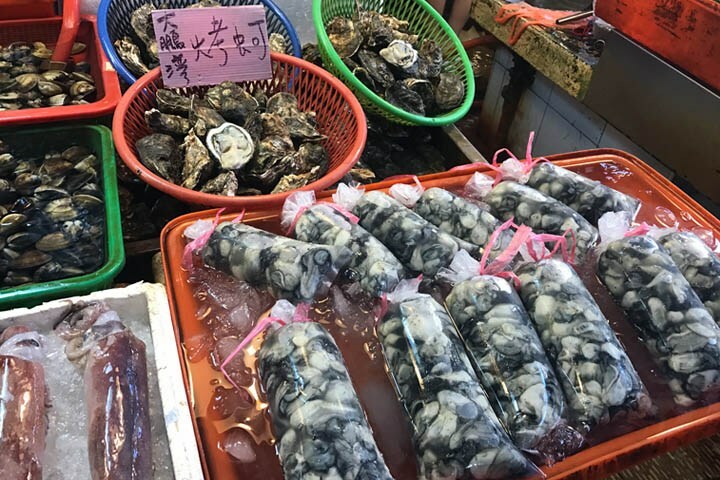 From Kaohsiung it is easy to make a day trip to the famous Dong Gong fish market and from there hop on a ferry to Little Liuqiu. 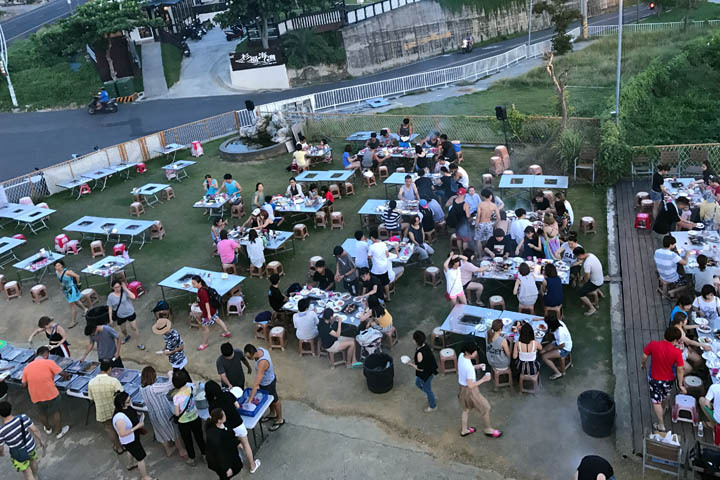 Both spots are popular attractions for Taiwanese locals and mainland Chinese to visit on holiday. You will see very few Western faces in these parts and so little English will be spoken. 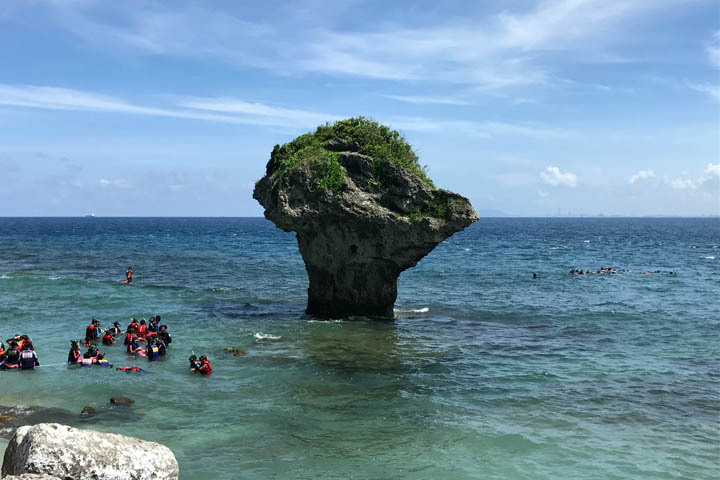 The sashimi at Dong Gong fish market is world class and swimming with turtles under Vase Rock at Little Liuqiu was an unforgettable experience! Dong Gong is a thriving city of Pingtung County, which has a busy ferry station, fishing industry and a specular red arched bridge. 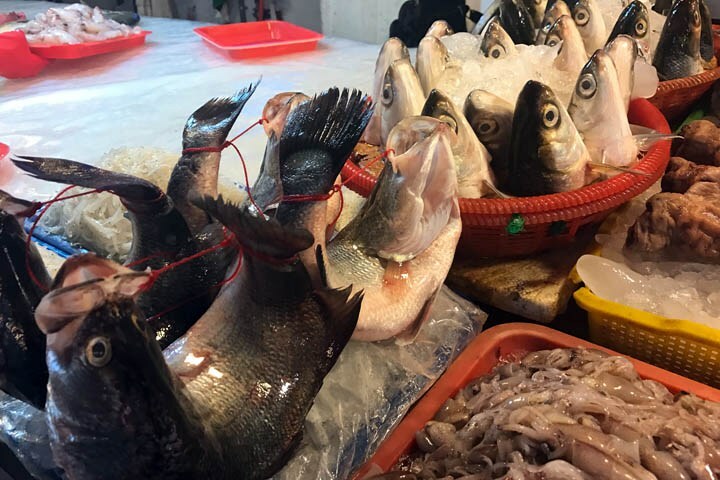 To get to the Dong Gong fish market, it is either a 40 minute taxi ride from central Kaohsiung or you can get the bus #9117 from Zuo Ying or Siaogang train stations. The buses come approximately once per hour and will drop you in Dong Gang city, from where it is a 10-15 minute walk to the port. 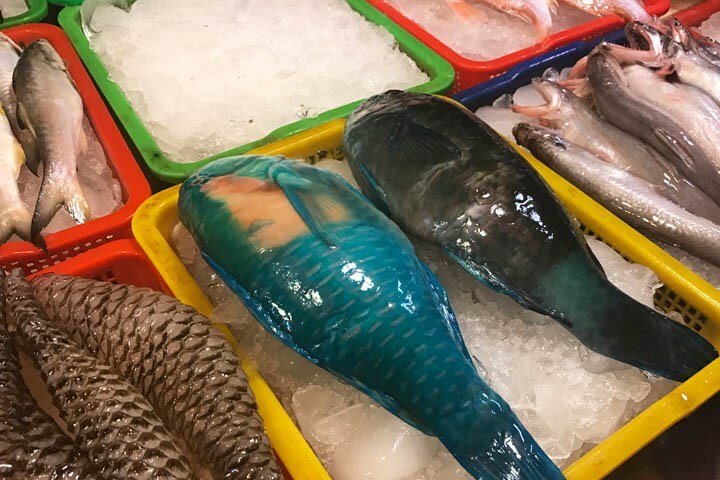 Most people come to Dong Gang to sample the delicacies at their incredible fish market, which is reputed as being the best in the whole of Taiwan. The seafood is so fresh, if you come early enough in the morning you can actually see the fresh caught seafood offloaded from the boats. 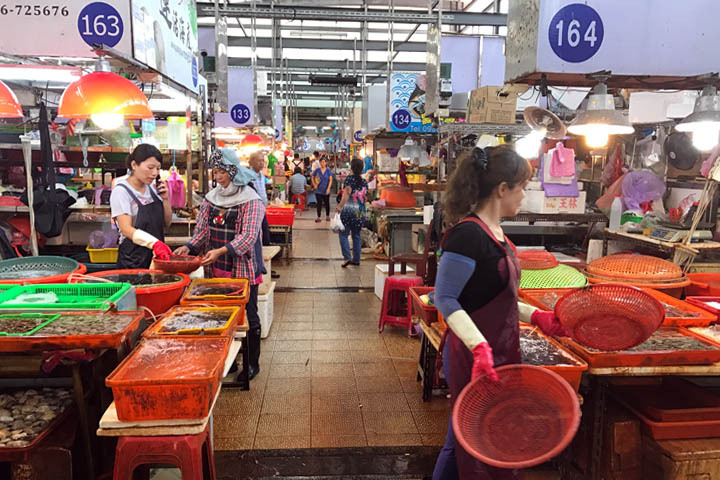 Inside the fish market are many stalls and restaurants selling fresh foods from the sea and other delicacies. 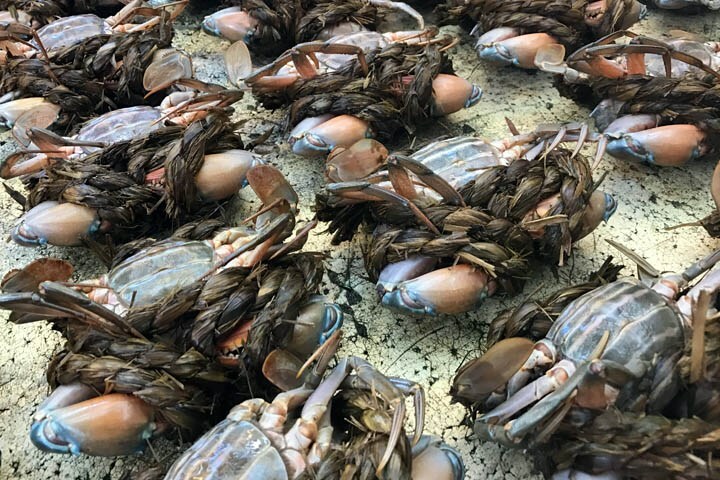 There are crabs, oysters, prawns and many fish and whitebait, dried fish, pork floss and colourful drinks with fruit seeds, bubbles and beans. 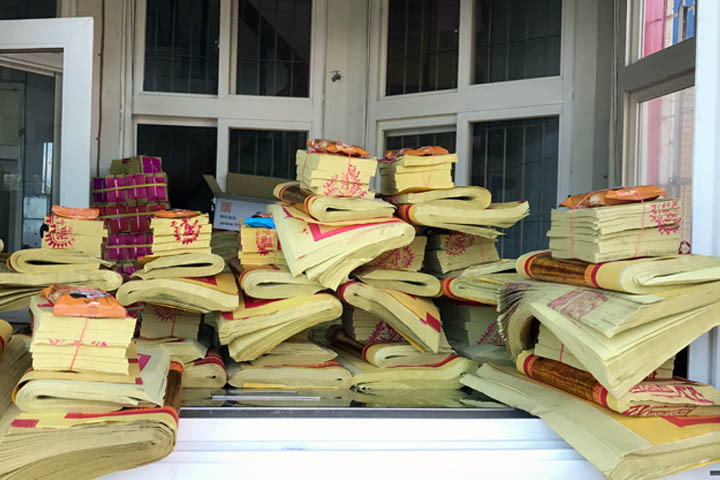 Fish, fish and more fish at Dong Gong! 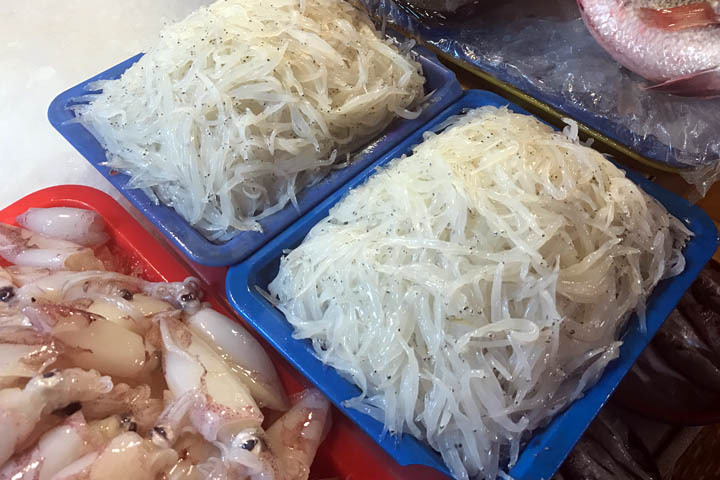 The most popular item for sale at the Dong Gong fish market is the sashimi. They have a unique black tuna sashimi, which is thick, fatty and red like a big sirloin steak. Most of the vendors will let you try a sample before you buy it. 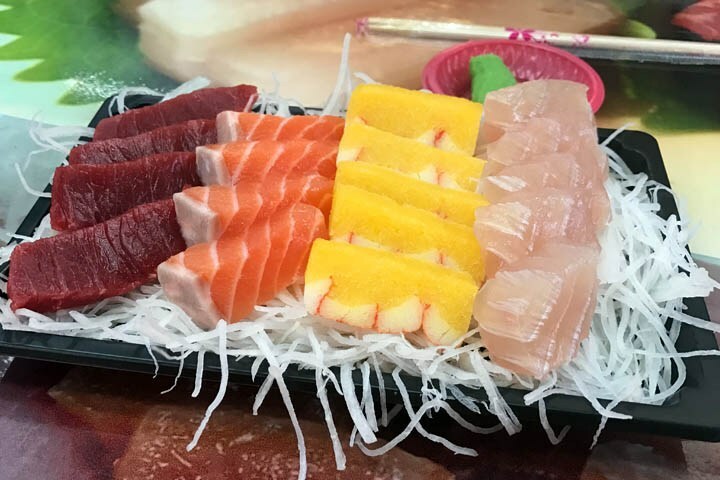 I ordered a mixed plate of salmon, kingfish, tuna and a yellow fish egg sashimi that came with a generous gob of bright green wasabi and a side of soy sauce. 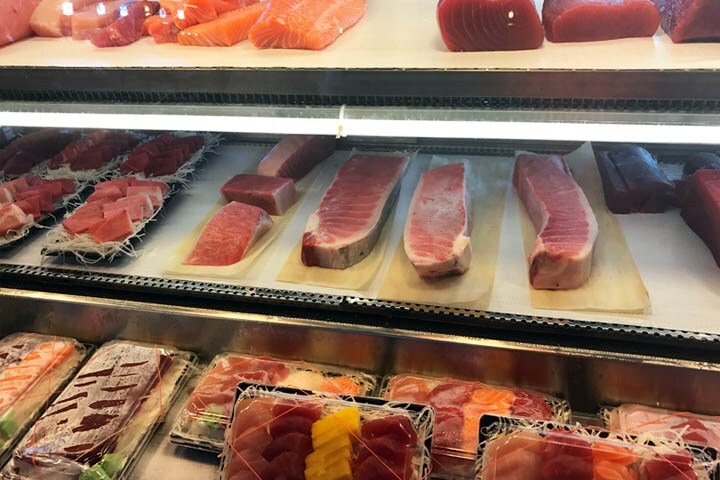 You can order in bulk to take home or you can ask the restaurants to cook the seafood fresh for you to eat. There are just a couple of restaurants but they have hosts walking around with menus encouraging you to sit down and make an order. The oysters were in abundance and one stall had so many fresh oysters, you could even buy them already shucked and in big bags to take home. 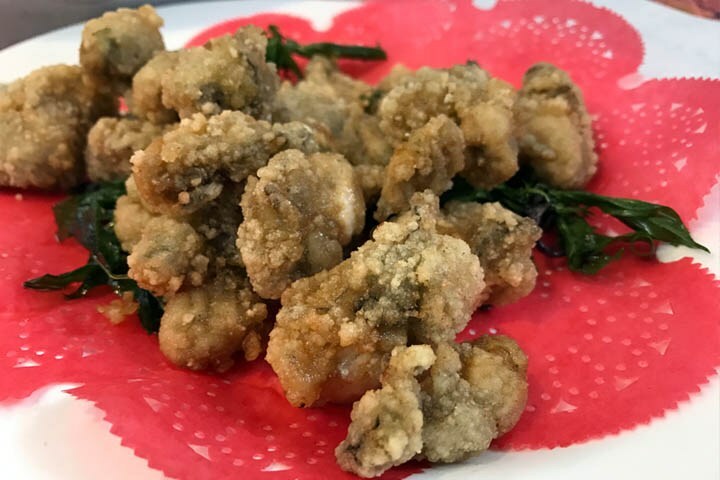 I decided to try deep fried oysters for a change, which came with salt and pepper and tasted salty, fatty and yummy. 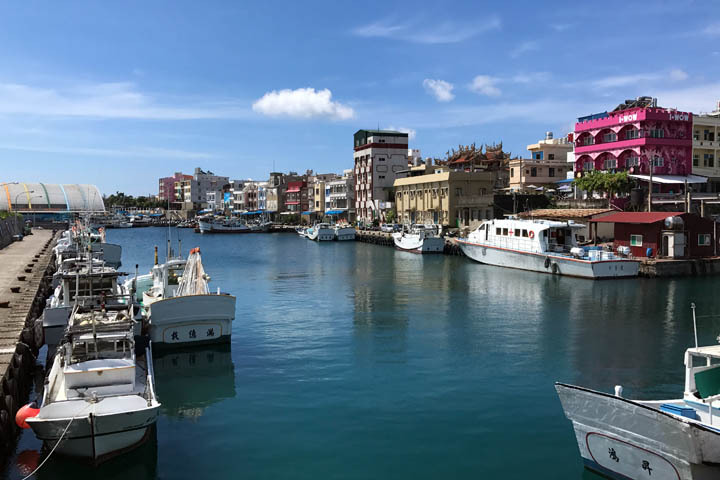 Just around the corner from the fish market is the pier where you can get the ferry to Little Liuqiu. 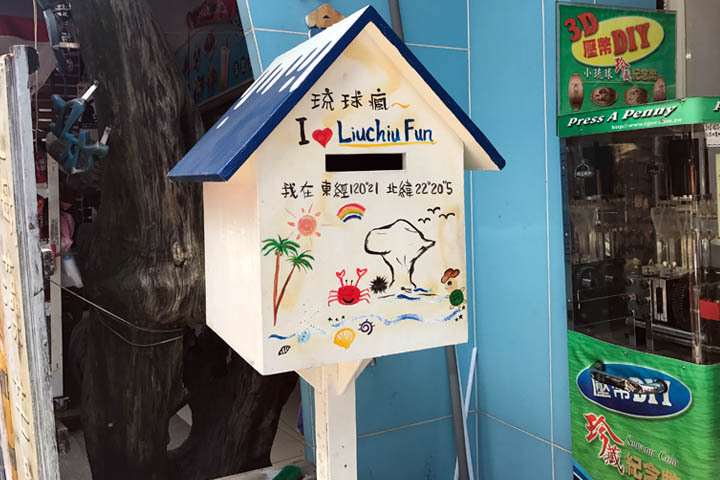 Because of how it is translated from Chinese into Latin characters, Liuqiu can also be spelt Lambai, Xiaoliuqiu or Liuchiu, amongst other variations, but it is pronounced in English like Loi Choi. The ferry departs once every hour (more frequently on weekends) and takes 30 minutes to get to the island. Little Liuqiu has a distinctive vase-shaped rock near the Baishawei Wharf. Vase Rock is heavy at the top and thin at the bottom, due to corrosion by the sea waves and makes for some beautiful photographs at any time of day. 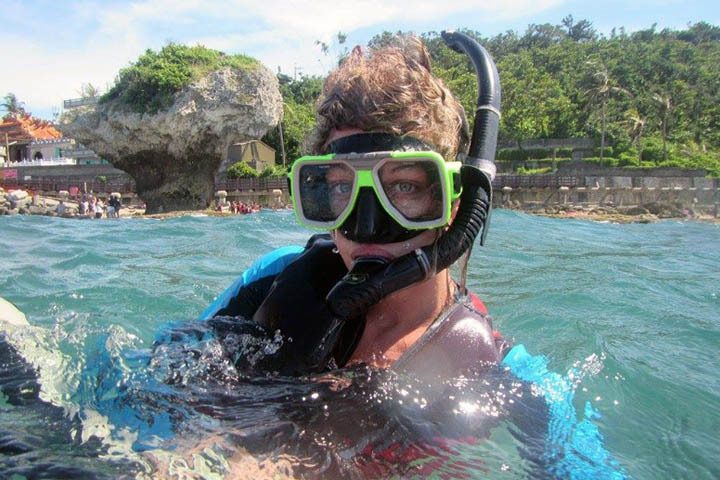 It is here where you can arrange to go snorkelling and see the giant turtles that live here. 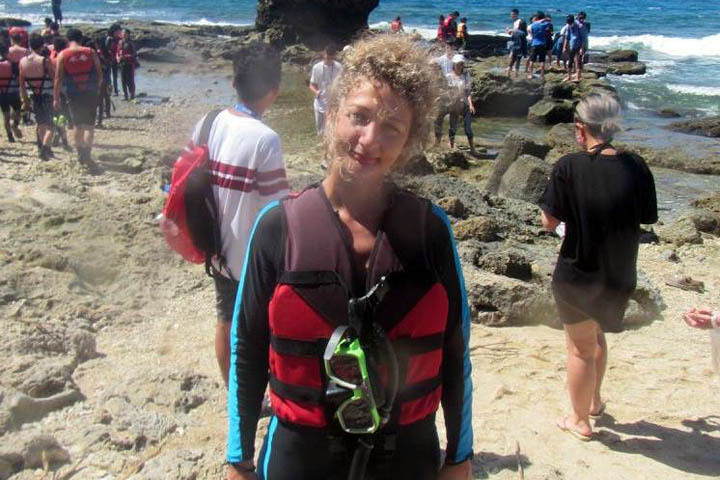 I asked my Airbnb host to register me for a snorkelling group. Groups are usually 10-15 in size and we get dressed in wetsuits on the mainland and then take a scooter to the seaside. The groups are incredibly well organised and there is a rope to hold on to for weaker swimmers. I saw several large turtles as well as some small yellow and grey fish. The beaches of Little Liuqiu are average but peaceful (not as pristine as Greece). 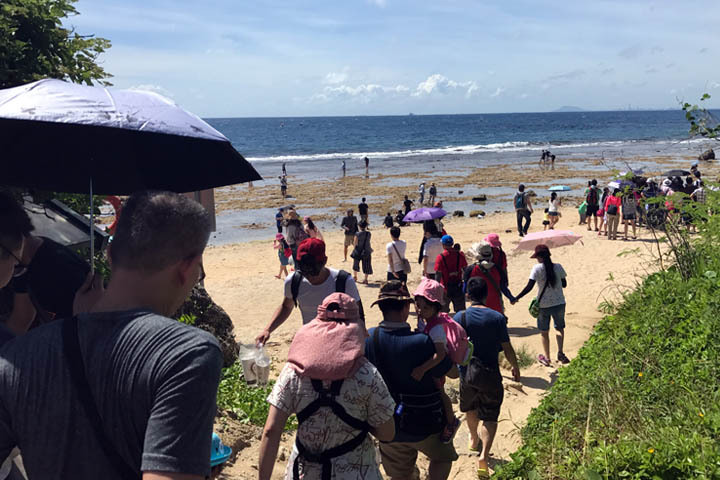 They do not have much infrastructure such as a boardwalk, bars or shops, and there are only two spots suitable for swimming which are ChungAu beach, which is close to the pier, and at the Shanfu Fishing Harbour. 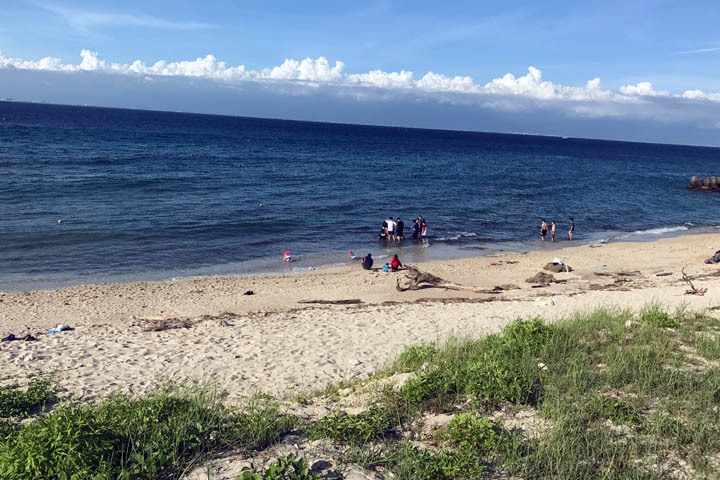 However both spots are coves that are insulated from big waves or currents and very safe to swim. The water is beautifully warm and clear. 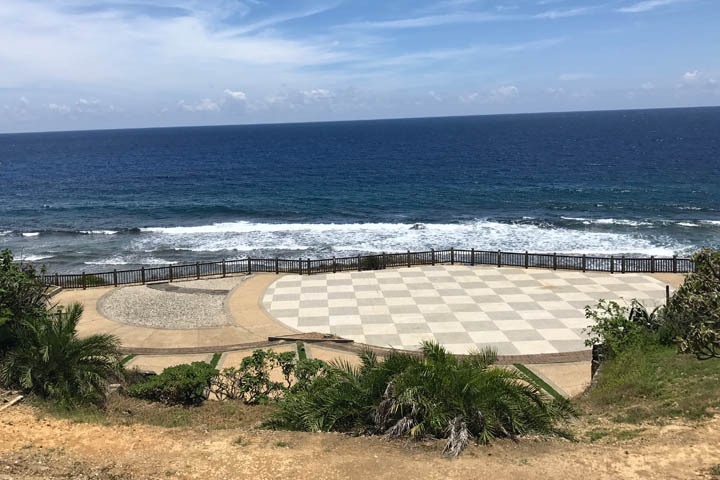 There is also Geban Bay, which has lots of little rock pools and is good for those who just want to wet their feet and go for a walk whilst enjoying the beautiful views. 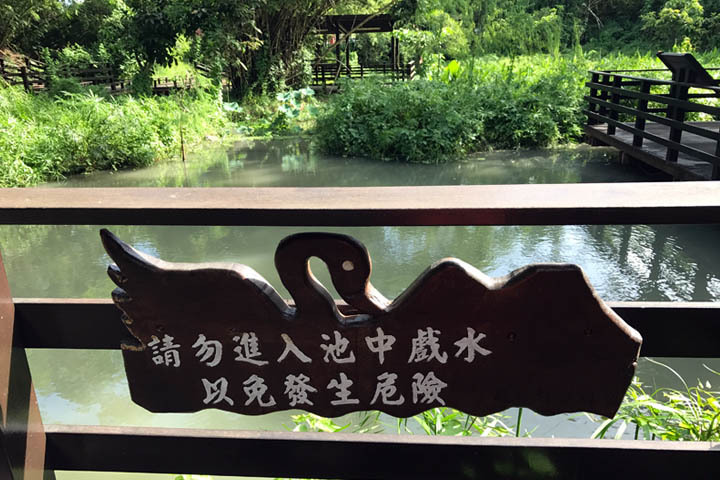 The best place to watch the sunset is at the Shanfu Ecological Corridor. 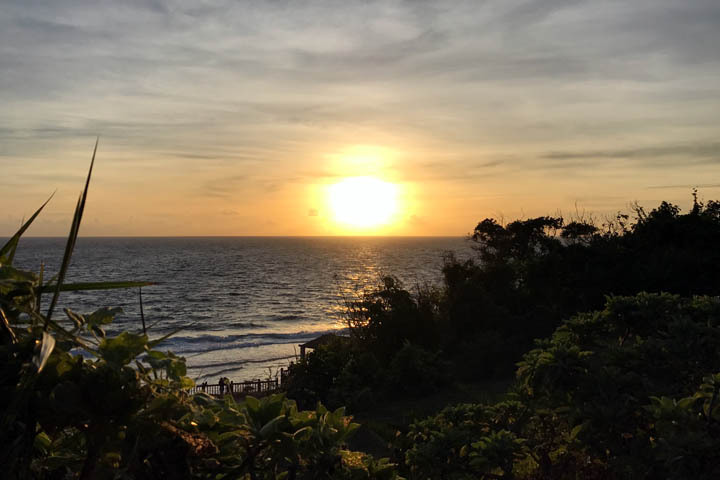 You can stay at the top of the vantage point to see sweeping views of the South West of the island, or walk down the stairs past the Chinese inscriptions, to take a seat whilst the sun sets over the water. During the evenings, if you walk down Zhongshan road towards where it intersects with Minsheng Road, there is some semblance of a night market from 9pm onwards. However it is mostly stalls selling fatty and deep fried foods, as well as the odd old fashioned video game. It does not compare to the colour and vibrancy of Tainan’s night markets. However there are a few cocktail bars here that are pretty good. 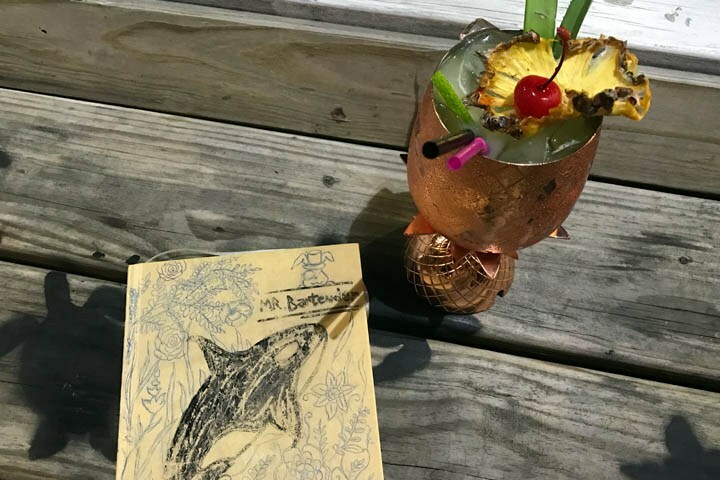 Especially, Mr Bartender 巴坦德創意酒吧 is a great place to slurp on a tasty and low alcohol Pina Colada as you oversee the comings and goings on the main road. They also ask all visitors to write in their visitor diary. For those who are after a quieter evening, a coffee and an ice cream might be more in order. 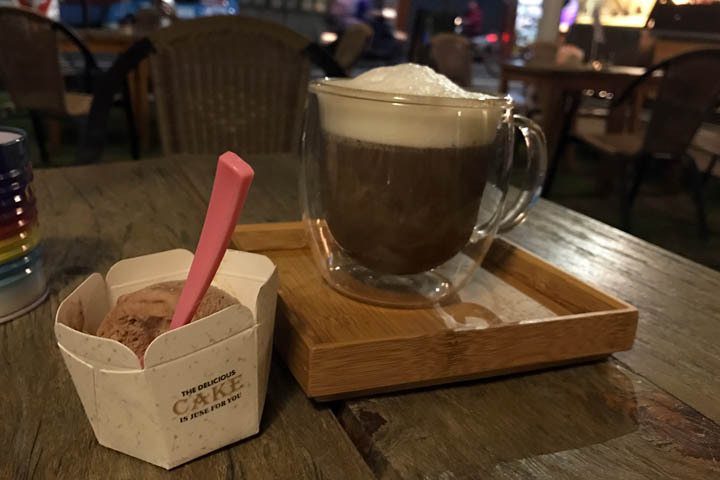 Near the Seven Eleven store on Zhongzheng Road in the middle of the island is a Kaohsiung Ice Cream cafe selling scoops of traditional ice cream and espresso coffees and they have cosy outdoor seating. 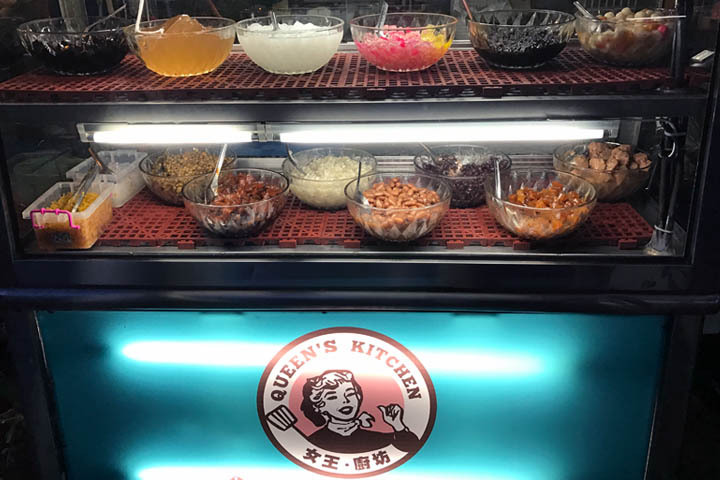 Or for the more adventurous dessert-goer, people queue all night for a bowl of shaved ice or bean jelly at the Queen’s Kitchen. The best way to enjoy Liuqiu is on scooter. There are caves and different vantage points to explore across the island, and whilst there is a bus service it is slow and infrequent. It is also possible to get around the island by foot, as nothing is more than an hour walk, although it can be tough to do so in the midday heat. 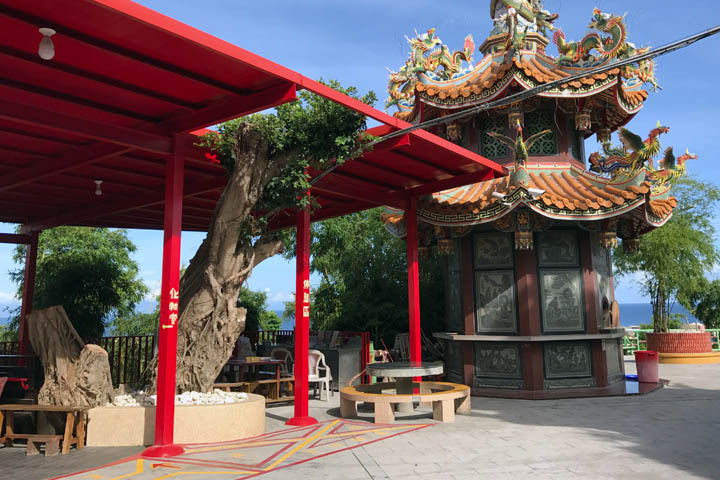 One of the highlights of my trip to the island was to get some peace and serenity at the Biyun Temple. 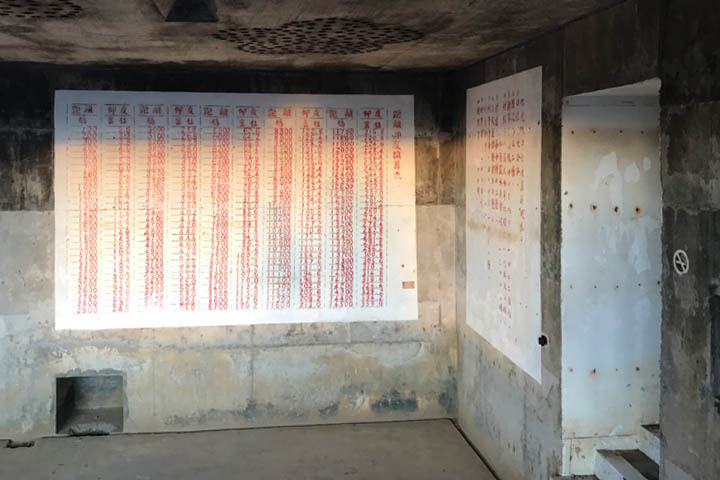 At all times of day, there were always several people praying here or burning the Chinese money at the kiln. If you take the stairs down there is a quiet area with pagodas and a green pond full of small turtles. 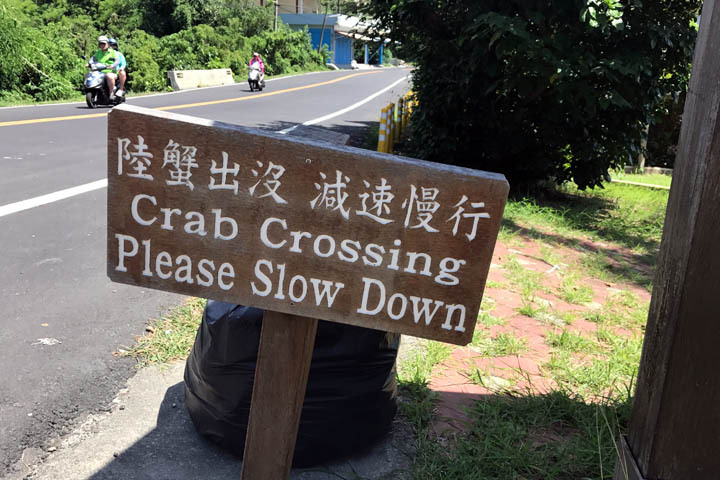 Do not come to Liuqiu for the food. Many of the restaurants will operate only at lunchtime, when it is too hot to eat, and the food is very basic. 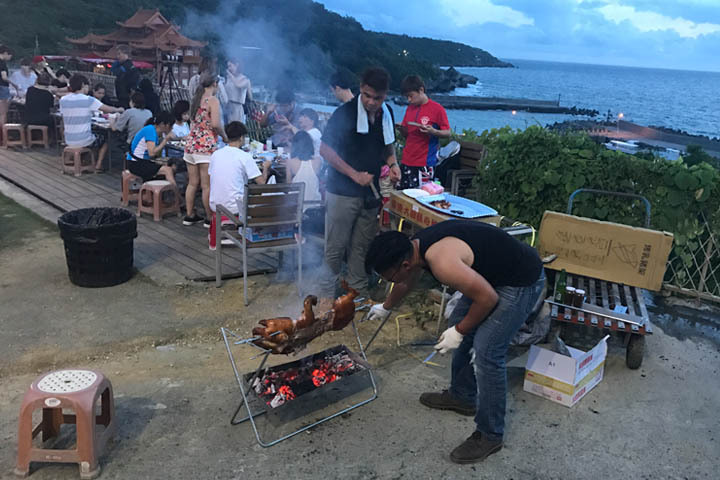 There is the Pirate King Restaurant (海盗王餐厅) at the bottom of Shangshan Road near Shanfu Fishing Port, that puts on a big BBQ meat buffet each night and is very good. 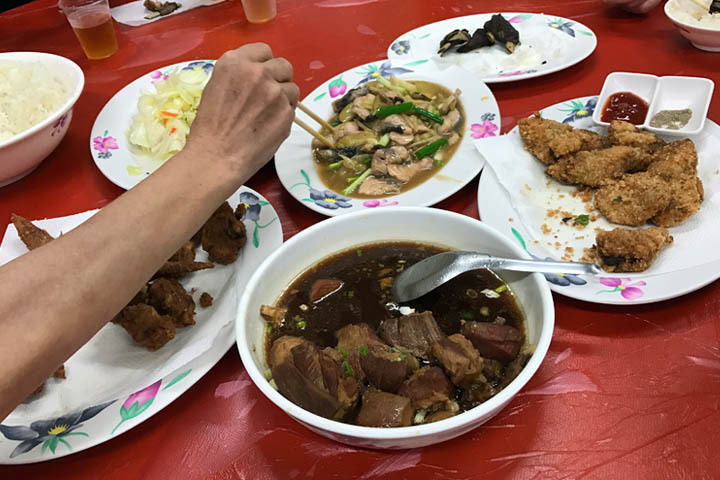 Otherwise one of the busiest dinner restaurants is underneath the Biyun temple on Renai Road called 大福羊肉店. Here I was invited by a family visiting Liuqiu from Taipei to share their meal. 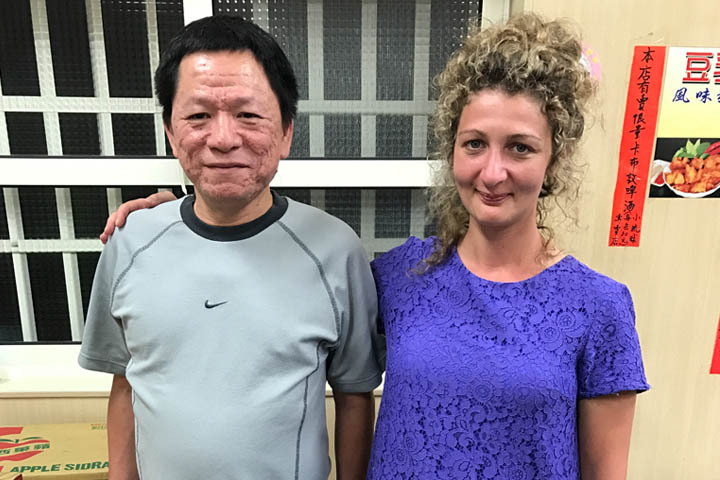 Taiwanese people are known to be generous and hospitable, and whilst I was grateful for their welcome the food was average and included deep fried shark, dry mutton, crab salad, thick soup, and some other items I would prefer not to discover what they were. You don’t require more than two days to enjoy Little Liuqiu. When you take the ferry back from Baishawei Wharf, it is more tricky to take the bus back to Kaohsiung as the bus stop is not well marked. In this instance I recommend negotiating for a car ride back. If you are willing to share a ride with others, you can get back to Zuo Ying station for under NT200. Don’t forget to stop at the Dong Gong fish market again on the way back home for more delicious sashimi! !